This is a Vaasthu Mural in which you can find 11 signs of Vaasthu sasthra. 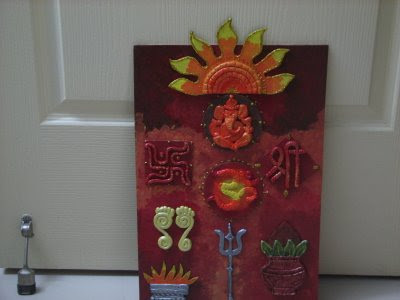 The board used is MDF and the images are made by using shilpakar and cardboard. The paint used is acrylic colours and decorated with gold3d outliner.